Working alongside his father, a business owner in sheet metal, Ronan quickly developed a passion for success from a young age. 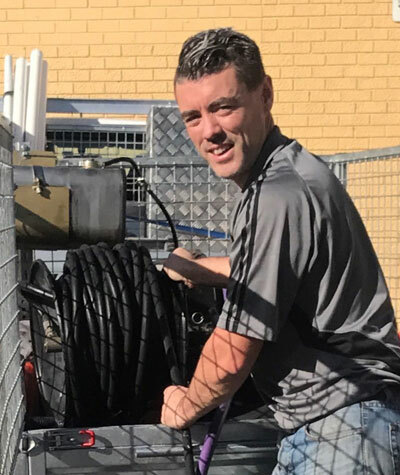 After the completion of his plumbing apprenticeship, Ronan spent 8 years working in both construction and maintenance for a medium sized heating and plumbing contractor in Dublin, Ireland, before relocating to Sydney, Australia, where he worked as a Qualified Plumber for a reputable Pump Service company. Ronan’s passion for excellence is evident in everything he does. He leads by example and expects a high standard from those he works with. Ronan has a keen eye for any business opportunity, sets and adheres to priorities, and focuses on client satisfaction above all else. Ronan’s drive to deliver transparency, trust, and a high level of communication stems from his business philosophy “the key to success is collaboration”. Ronan and his family enjoy all things AFL as the current President of his children’s local junior AFL club. During the off-season, Ronan, his wife and their four children, spend their time together enjoying the great outdoors.